With all that Stephen does with his landscape and nature photography he still finds time to do Portraits, Children, Weddings, Newborns, Sports, and Special Events photography. Prior to forming his companies "Hough Photographic and Blue Flash Photographic" Stephen worked as the "Safety Specialist and Environmental Coordinator" for Marine Corps Community Services, MCCS performing inspections and photographing all findings, incidents, and accidents that occurred within MCCS's properties and facilities. This August Stephen's photography was added to the 2016 Mono Lake Committee Calendar. Stephen has also been published in several Professional Photography publications, and San Diego Newspapers. 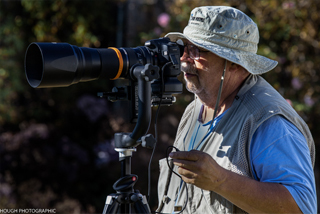 Throughout Stephen's photographic career he has taken time to educate other photographers on where, when, and how to take their photos of nature and landscapes, what equipment works and what equipment may-not work for them. Stephen has taken time to explain their photographic equipment and how to use it. Stephen is presently a member of "B&H Photo's" assistance team for equipment shoppers. Stephen is presently enrolled at Palomar College to sharpen his skills in photography. Stephen has active memberships in Professional Photographers of America (PPA), California (PPC), and San Diego County (PPSDC). Please leave a brief message and your phone number when calling.